We can’t believe it’s over. Ten days full of adventures, discoveries, happiness, joy and charm. Good things take time. The unique impressions of the city Vienna, the landscapes, people connecting people and memories of these beautiful, intense moments just kicked in. What happened? Between June 22nd and July 2nd, our community actions were certainly memorable, joy-able and living life to the fullest. We just cleansed the last glitter from our faces, we just accepted new Facebook friend requests, we caught up on sleep, only to acknowledge what we have achieved: For ten days, our Vienna was your Vienna. The first Social Impact Experience (SIE) was lots more than we have ever hoped for. But first: What is SIE? This is a short excursion of the shared economy in the upcoming future. Those of you who are up to date with Airbnb might have heard the term from Brian Chesky, Airbnb Co-founder & Head of Community. By launching “Airbnb trips“ last year, the home-sharing platform turned into a full-fledged travel agency, allowing users to not only book accommodation (homes), but also places (e.g. restaurants) or experiences (e.g. sightseeing tours), both organized by city hosts. And then, there’s the fourth new category: SIE, where city hosts cooperate with NGOs to offer urban gardening, cooking for the homeless or offering a glimpse of insights into social entrepreneurship. To support such causes, Airbnb enables these selected experiences to be listed on the platform for free. 100% of the booking revenue goes to the charitable NGO. Dear friends and supporters, this is where the networks of opt2o & Tanz durch den Tag (Dance through the day) come in. 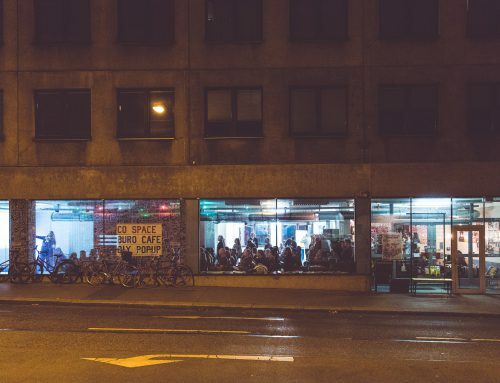 We’ve been crafting a vast network of social entrepreneurs, influencers and NGOs over the last five years, where our chairman Christoph is one of Airbnb’s outstanding superhosts, offering our space the Hug Inn to hundreds of visitors from around the globe. With SIE, we fuse the hospitality platform with NGOs to connect people & ideas. Our guests participate in unique social impact events which are curated with our partner organisations. In case you just grabbed your mobile phone, tapped on the Airbnb app and searched for this mysterious “trips” feature, don’t worry, it just hasn’t launched in every city yet. But we’re a step ahead. When the Airbnb Co-Founders announced „trips“, opt2o co-founders Christoph & Fabian stood amidst a cheering crowd. In that very moment, two things became clear. The Social Impact Experience is a tailored-made feature for opt2o. When “trips” will be launched in Vienna, the first hosts are adding places and experiences. 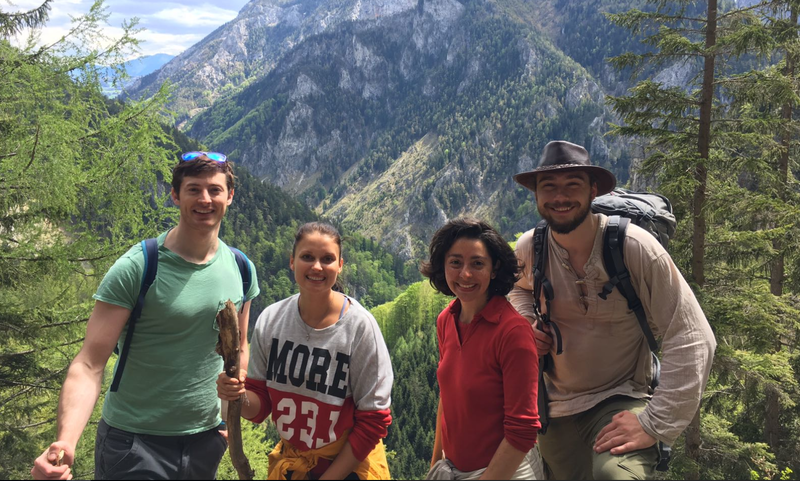 opt2o is Austria’s first-mover with the „10-day transformative social impact experience“. “We offer impressive insights of what makes Vienna so great – be it the art scene or culinary experiences, the nightlife of the city or its vibrant start-up community”, says Christoph, who created the programme with Jan, Co-Founder of Tanz durch den Tag, Georg, Founder of Co-Space and other partners like Clemens, who sells the best cheese from Switzerland in town. The guests get to know Vienna, and those creating and shaping it. The makers and the creative hubs. The kick-off and welcome-reception was on June 22 at Hug Inn Vienna, where guests were invited to join the opening of Aufwind Festival at Donauhof, followed by a week-long cluster of aspiring events around Vienna. The participants discovered how to color up a city. After a graffiti tour, the guests met with the street artists from iOnArt to learn how to turn brick and mortar into canvases. After crafting their own wall concept, the guests participated in an interactive live drawing and animation experience. 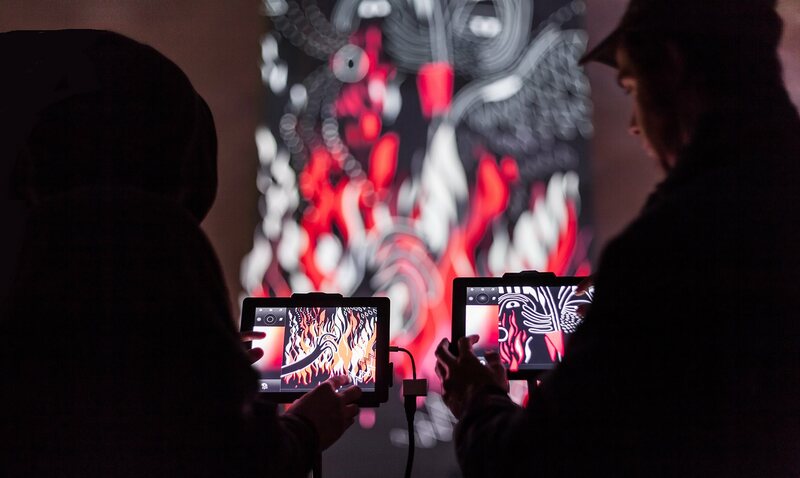 Via Tagtool, guests crafted their own wall concept on iPads. From the 23rd to the 25th, the micro-nation Biotopia opened its gates. As part of the Aufwind festival, the forum was an interactive art event, creating an utopic state (“Biotopia”) in the east of Vienna. The visitors became citizens by receiving a passport, they could even use the official Biotopia currency „Giblinge“. The project Biotopia introduced a form of utopic visions through practical ideas – challenged by society with ideas, implemented in politics and culture. Option 2.0 chairman Christoph led the “Networking Ministry” and connected citizens with change-makers and other networking possibilities. Option 2.0 co-founder Christoph in the networking ministry, which was created for Biotopia by the participation of the optioneers and the tanz durch den tag community. But also the nature was calling. Superhost and hiker Georg, Co-Founder of the Viennese delivery boys, welcomed visitors and guests in a wooden cabin in Nasswald in the surrounding of the Viennese alps. After hiking, the stoves were fired up, collective cooking, music and laughter filled up the cozy place. When getting up at sun-rise, the breakfast was served on the peak. Superhost Georg (far right) lead the pack. These experiences offered our guests a retreat from civilization and its frameworks – either an utopian micro-state or into wilderness. To ensure a smooth transition back into city life, we led our own sightseeing-tour through Vienna, unveiling hidden places only locals would know. July 27th, we did what we do best: connecting change-makers. 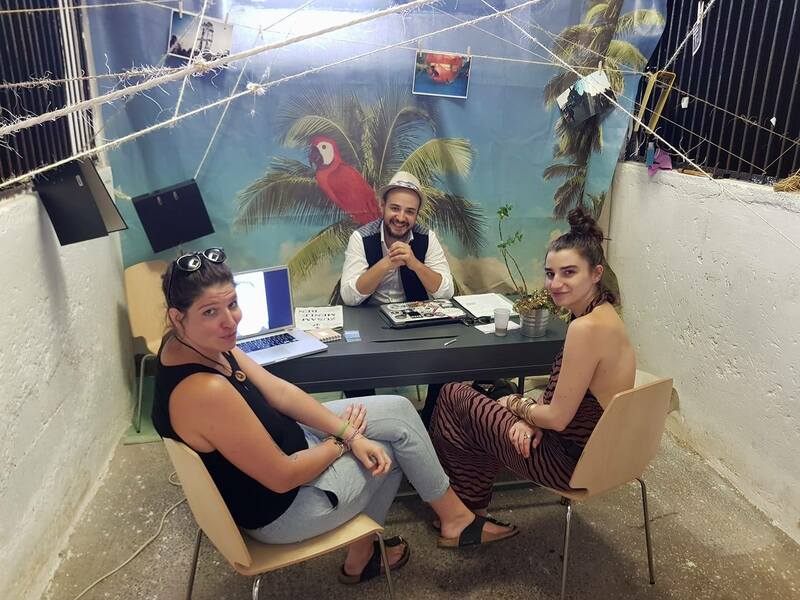 At CoSpace & Impact Hub Vienna, we hosted a meet & greet with Viennese start-up founders and social influencers like Georg, co-founder of CoSpace or Andra, co-founder of Younited Cultures; the guests were inspired how to realize ideas in an urban environment. 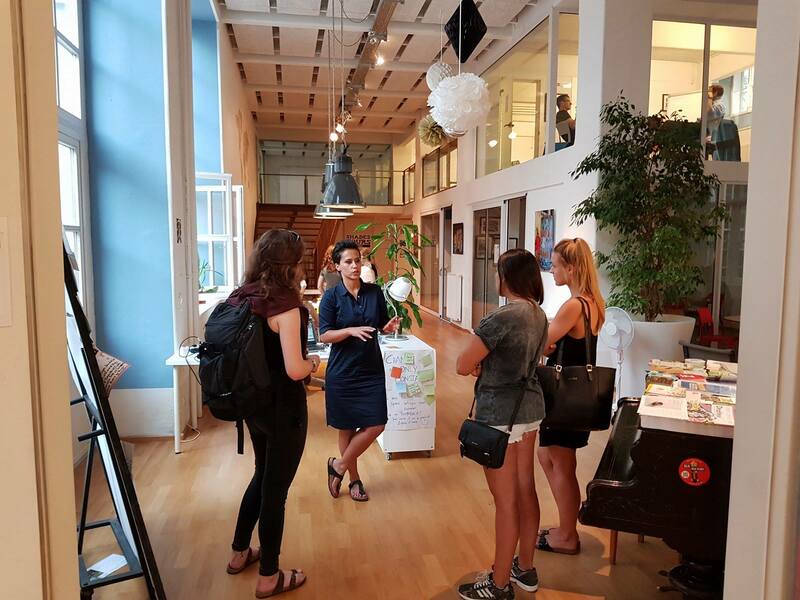 Andra Slaats, co-founder of Younited Cultures, explains how the Impact Hub and its community realize ideas. In fact, one of the guests was so excited about the Impact Hub, that she is determined to start her own in Chile. 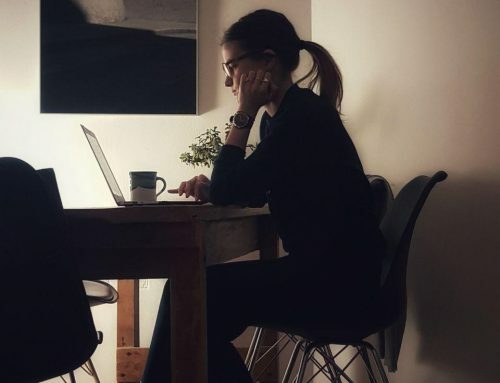 Daniela immediately grasped how the Impact Hub concept could fuel creative energies in her hometown. 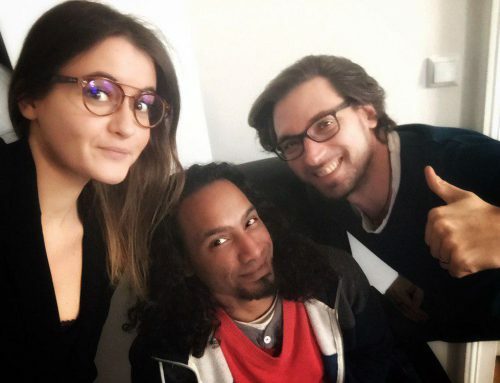 Thus, Daniela became a social ambassador. After this intense input, our guests might need a day to reflect and process, the 28th was free and offered some Viennese nightlife, starting with a Käsekrainer at the famous Bitzinger Würstelstand and a drink on the terrace of Albertina, one of Vienna’s most prestigious museums. 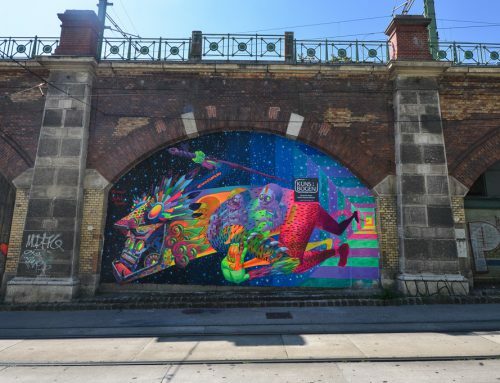 To meet our own standards as social influencers, we brought together guests and local artists who put their own mark in Vienna. After a drink at sunset, guests either went to Volksgarten Pavillon, or we made sure to let them discover the “secret” door to the legendary Donau bar behind MuseumsQuartier. 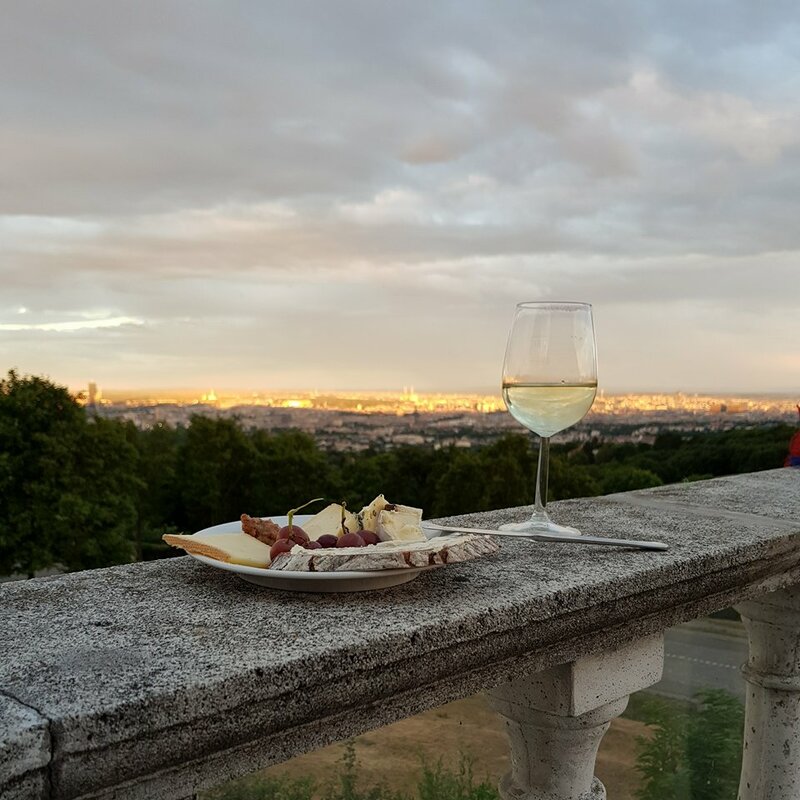 Before the grand Finale, we hosted a Cheese & Wine Tasting at Cobenzl’s Luftschloss on top of a hill with the perfect view over Vienna. While the sunset shed golden light into our glasses of white wine, guests enjoyed the light music and relaxed for the upcoming days. A Festival called, Tanz durch den Tag. 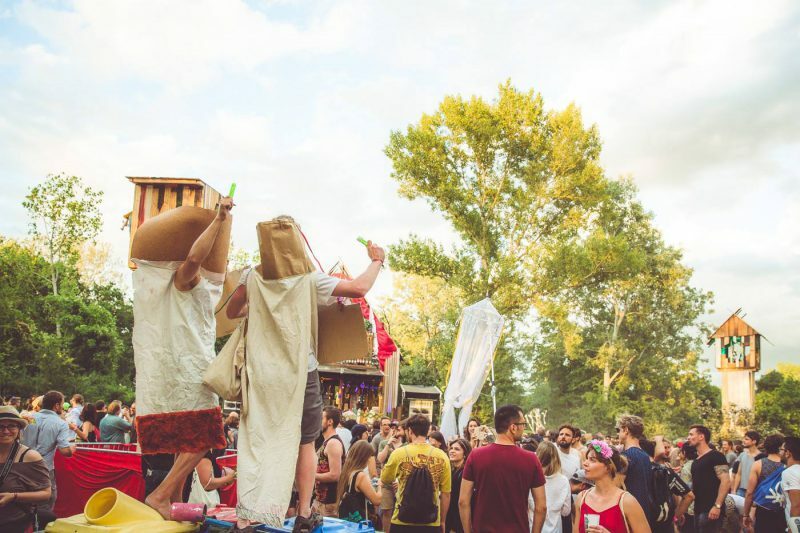 The 10-days-experience started with the opening of Aufwind, it ends with the festival’s Finale: a three-days Open Air of music, arts and culture, organized by Tanz durch den Tag at Donauinsel, the island in the midst of the Danube river. 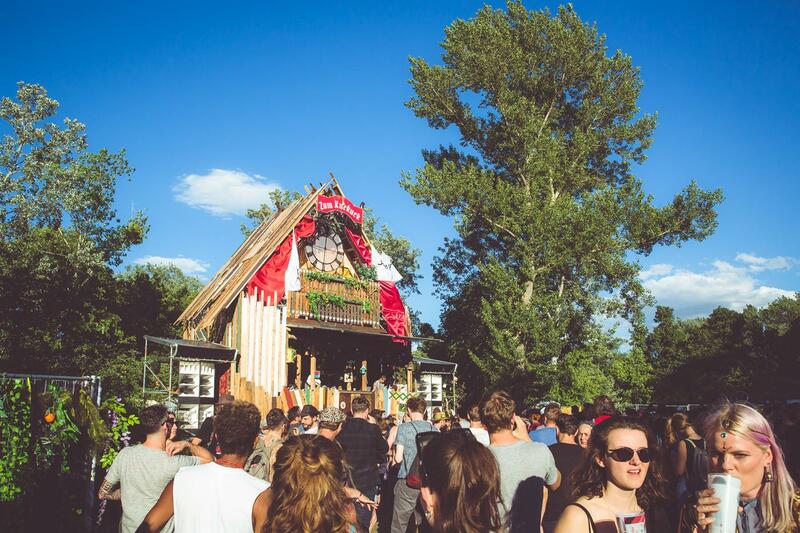 On five stages, local and international acts performed beats and sets to dance all-day long; furthermore massages and yoga goodness for the ones interested in the Healing Arts area. Artist & music collectives constructed light installations and massive stages like the Kuckuck, scholars held talks on sustainability and conscious living. Kommt jetzt zum Aufwind Festival // Tanz durch den Tag und spürt den Aufwind, der Wien verändern wird 彡Es gibt noch Tickets an der Tageskassa!Clemens & Theo sind auch wieder da ♡ Danke Eugen von Pellfilm für die Eindrücke! 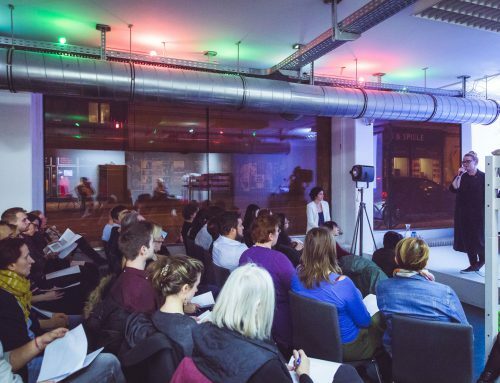 After blazing the trail for the ultimative Social Impact Experience in Vienna, the next step is curation. It’s a short matter of time until Airbnb trips will be launching in Austria – and once SIEs spread like wildfire, we will be ready, and we’re willing to make good use of your resources in order to support fellow social influencers in their cause. This is a call to action for NGOs & city hosts: If you plan to host a SIE, we can provide you with our vast network of social influencers. Your SIE will be published on our website, we connect you with our entire community. For the content curation, we will receive 20% of the income – as Airbnb doesn’t charge a fee, 80% goes straight to you. Of course, we’ll host further SIEs of our own. An important upcoming event is the Symbiosium at Luftschloss Cobenzl, where change-makers & optioneers exchange ideas on how to make this world a better place. Looking forward to seeing you there in person! We are curious on how SIEs may shape our beloved Vienna in the near future. In an interview with Die Zeit, Alexander Schwarz (Airbnb Manager for Austria, Germany and Switzerland) said that „trips“ should allow to shape the traveller forever. We like this idea and create & collaborate to expand your network. What we have accomplished here, was huge; yet it was just the beginning. Connect with us! Let’s share the Social Impact Experience. This article was inspired by our collaboration with Airbnb, CoSpace & Tanz durch den Tag in the last months. We thank Philipp Gruell for writing the first version of the text as well as the opt2o editorial staff for the content curation.